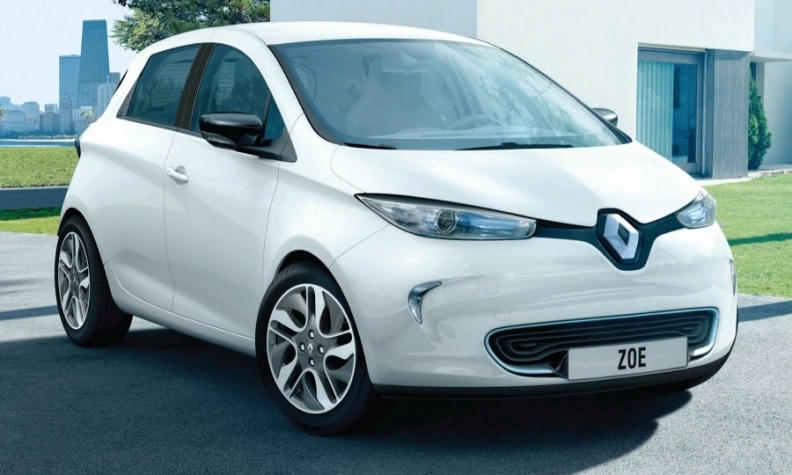 Renault builds the battery-powered Zoe in Flins. PARIS (Reuters) -- Renault unions demanded clarification over production and job cuts being considered at the French carmaker's Flins plant near Paris. Workers' representatives asked to meet senior managers after learning of preparations to cut one of two shifts at the plant, which builds Clio subcompacts and Zoe electric cars. "If the plans are confirmed we will look carefully at whether they are keeping to their volume commitments," said Bruno Aziere of the CFE-CGC, one of three unions that signed a competitiveness deal with Renault management last year. A company spokeswoman declined to comment on the possible cuts at the factory, first reported in business daily Les Echos. A move to scale back production at Flins, which was allocated 250 million euros ($347 million) in state funding under Renault's electric car program, could be a test of the reshuffled French government's industrial policy stance. By slashing output, while continuing to build most Clios in Turkey, 15 percent state-owned Renault could be in breach of pledges given to the last conservative government - a potential embarrassment for Socialist President Francois Hollande. In 2010, Renault CEO Carlos Ghosn backtracked on plans to shift the Clio to Turkey after a public dressing-down by then president Nicolas Sarkozy. Instead, Renault promised to build more Clios in France if electric car sales missed forecasts. In last week's reshuffle, Hollande named economic moderate Manuel Valls as prime minister. But Arnaud Montebourg, who threatened as industry minister to nationalize firms that move jobs abroad, was promoted to economy minister. Montebourg's office did not immediately return calls and messages seeking comment. The government controls two of Renault's 19 board seats. Renault previously said that the Flins plant was aiming to produce 82,000 Nissan Micras in 2016 to bolster its car output in France. Under its union deal, Renault is reducing headcount and labor costs in return for commitments to raise French production by a third and maintain annual output of 110,000 vehicles or more in Flins. Renault has trimmed about 2,500 jobs in the first year of the productivity deal. The company promised to protect its French sites in return for increasing working hours, curbing pay rises and cutting at least 7,500 jobs by 2016.